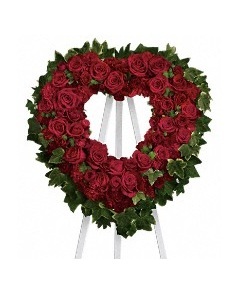 Roses, spray roses, carnations and miniature carnations are arranged with fern and ivy in the shape of a heart. These flowers are shipped fresh, budding and ready to bloom. Easel not included.